Here's an update on my Robert Crumb portrait! I changed a lot of stuff from the original sketch! 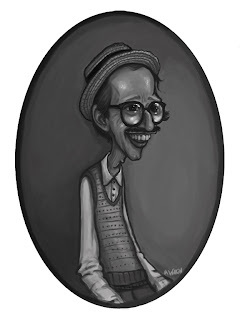 If you don't know who Robert Crumb is- you should check out a movie called Crumb! !